A revamped rewards program at PokerStars will result in a number of changes that include a reduction in reward points for multi-table tournament players. Under the old program, MTT players received 100 reward points per each $/€1 paid in tournament rake or fees. For instance a $10 + $1 tourney would garner 100 points. 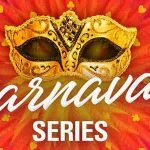 Beginning on February 15, 2019, that same $10 + $1 tournament will be worth only 45 reward points. 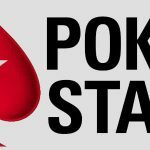 The world’s biggest real money online poker site made the announcement of that change and several others via the PokerStars Blog on Tuesday. 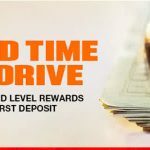 The poker room cited player feedback and a thorough evaluation of the Stars Rewards program over the last 18 months as the reasons behind the adjustment. 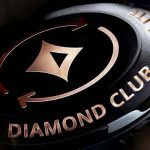 While tournament players may cry foul over a reduced earning rate for rewards, PokerStars claims that the VIP Program needs to evolve. Severin Rasset, the site’s Director of Poker Innovation and Operations, stated that the decrease in rewards was done specifically where it will have “the least impact” and was designed in order to allow PokerStars to focus attention and rewards where the impact will be greater. Less reward points for MTT players was just the first of several adjustments announced, but it will be the first one to be implemented as it starts this Friday. Additional changes will be put in place throughout 2019 that include simplifying Stars Rewards as a whole to make the program easier to understand and increasing the bounties received when players open a Chest. Apparently, the Chest-opening experience was the source of a number of complaints from PokerStars loyalists. Perhaps an adjustment to something like the “Splash the Pot” player rewards system that was launched by Phil Galfond’s new Run It Once poker site would make more sense. A full 51% rakeback will be randomly splashed into cash game pots at the new poker room and much of the poker community is anxious to see how the format is received. In any event, simplification will be accomplished by more straightforward rules as to how players are categorized and transition among the 6 Chests levels. Increasing a level requires earning 10 Chests within a 28-day timeframe. The failure to progress in the 4-week time period means players will be knocked down a Chest level. Stars Rewards Chests will more than triple in value, making it more fun to open one. However, players will be opening less Chests – more than 3x less than was the case previously. It’s a trade-off, basically, that will give the illusion of greater rewards. Also among the revamp is the removal of the “boost” feature. The value previously gained from that element will be transferred to the Chests. On the plus side is the roll out of an “Exchange” feature that allows players the option to trade in their current progress to obtain a reward instantaneously. That’s the gist of the Stars Rewards adjustment. Cash game players will still receive 100 reward points at the rate of every $/€1 in paid rake. Mr. Rasset encourages player feedback, so players with either applause or complaints can email support at PokerStars to have their voices be heard.